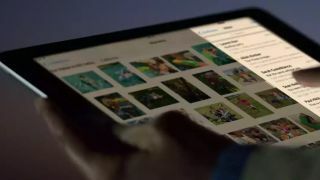 Apple introduced a special Night Shift mode with iOS 9.3 to save strain on your eyes in the evening time, and it looks like the feature has proved popular enough to make the switch to Apple's other hardware products as well. Patently Apple spotted a trademark filing by Apple that makes mention of Night Shift in relation to motor vehicles (CarPlay, the Apple Car or both), smartwatches, computers and televisions - so just about every device the Cupertino company is making at the moment. And that's just for starters: everything from electronic notice boards to fire extinguishers is mentioned in the application, so it sounds like Apple is covering as many bases as possible should a rival manufacturer try and introduce a Night Shift feature of its own. As you probably know by now, Night Shift reduces the amount of blue light emitted by a device's display - a lot of scientists think this blue light keeps your mind active and makes it harder to get a good night's sleep. Apple isn't patenting the technology here (it was far from the first company to come up with the idea) but it is looking to protect the Night Shift name: the fact that it mentions computers, wearables and more suggests Night Shift is expanding. Meanwhile, the developer version of Android Marshmallow had a night mode as well, but it was eventually dropped. The feature has reappeared in the early releases of Android Nougat, so it looks like Google is finally joining the party too - even if it won't be able to call the new option Night Shift.